Serenity lanzarán su quinto álbum titulado "Codex Atlanticus" el 29 de enero de 2016 a través de Napalm Records. El disco está inspirado en la vida de Leonardo Da Vinci. SERENITY doesn’t just simply release an album – the Symphonic Metal giants invite their audience on truly epic journeys! Codex Atlanticus – their fifth album – boasts with thrilling storytelling about art and science. Leonardo Da Vinci is the center of attention here, but lovers of conspiracy theories, Illuminati and so forth will also rejoice when mastermind Georg Neuhauser gives free rein to his compositional genius. This album is full of monumental, movie score-ish orchestral arrangements mean riffing and lush melodies. The album will be released on January 29th via Napalm Records! 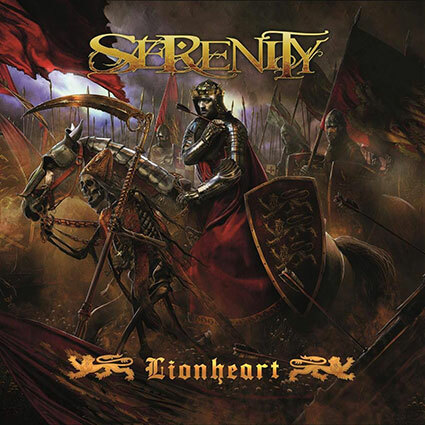 SERENITY: detalles de su nuevo disco "Lionheart"
Lionheart el nuevo disco de Serenity saldrá a la venta el 27 de octubre a través de Napalm Records. Lionheart fue mezclado y masterizado por Jan Vacik en los estudios "Dreamsound". Gyula Havancsák del estudio "Hjules Design" creó la portada del disco. October is coming! A new era will begin on the 27th of October 2017, as Symphonic Metal masters SERENITY are ready to release a brand new full-length album! Before the announcement of the album the band encouraged fans to guess the title of their upcoming effort via their socials. So were you able to guess it right? Here it is: Lionheart! "Hear us roar!! After we spread Da Vinci's Codex Atlanticus all over the world, which you made one of our most successful records ever, we will now feed your yearnings with another historical masterpiece: LIONHEART!!! Strong, powerful Symphonic Powermetal hymns mixed with emotions from the depth of our souls - follow us into this new era and show us your Lionheart!!!" Lionheart was mixed and mastered by Jan Vacik at Dreamsound Studios. Gyula Havancsák at Hjules Design and Illustrations created the fantastic album artwork! With a full grasp of stunning emotions and superior dramatic compositions these Austrian musicians are world class, already winners of the prestigious Amadeus Austrian Music Award 2017. 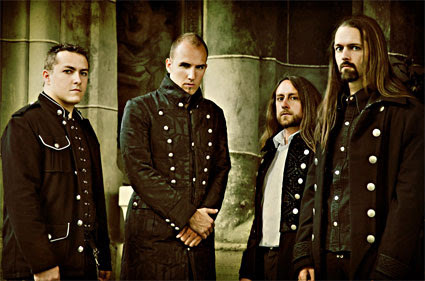 Their energy and joy of playing those fantastic Power Symphonic Metal-hymns can't be tamed. Heroic and heartfelt - it's almost impossible to not be carried away. 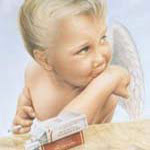 Glorious melodies and the angelic voice of Georg Neuhauser join heavenly guitars and tremendous hooks! This is pure symphonic joy!